Scott Family of Companies is a vertically integrated organization that grows, packs, and markets fresh grapefruit for the international and domestic markets. The companies that make up this organization include Scott Family Groves, Scott Citrus Management, Riverfront Packing Company, and Scott Marketing. The Scotts are 3rd generation citrus growers that have a long history of farming in the famous Indian River Growing District. L.W. Scott, the patriarch of the family, started farming vegetables and eventually became one of the largest tomato growers in the world, with farms in multiple countries. 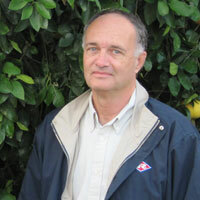 The vegetable farming background served him well when he decided to grow citrus, because his sense of urgency and attention to detail carried over well in growing high quality citrus. 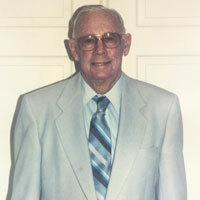 His love of farming and commitment to excellence is a legacy that continues to be carried on today. Ken Scott is the son of L.W. Scott, and the President/Owner of Scott Citrus Management. Ken followed in his father’s footsteps at an early age and quickly learned the citrus business by working multiple positions in the grove. That experience coupled with his education have prepared him well as President of the organization. Like his father, Ken also has international farming experience, with his most recent farming operation being in the Bahamas. Dan Scott is the nephew of L.W. Scott and owner of Scott Citrus Management. Like his uncle, Dan began his farming career growing vegetables both domestically and internationally. The sense of urgency necessary for vegetable farming equipped him well when he transitioned to citrus in the early 1980’s. Although Dan has delegated the majority of his day-to-day responsibilities to his son Daniel, he still monitors the groves daily. 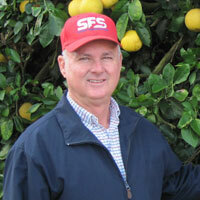 Daniel Scott is Vice President of Scott Citrus Management and the son of Dan Scott. Like Ken, Daniel learned the citrus industry by spending many hours in the grove as a young man. His Ag Operations Management degree from the University of Florida further prepared him for his ultimate career. Daniel has broadened his perspective of agriculture by recently participating in the University of Florida’s Wedgeworth Leadership program. He is also chairman of the production committee for the Indian River Citrus League. 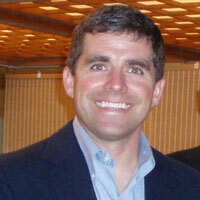 Dan Richey is President/CEO of Riverfront Packing Company. Dan began working for his family’s packinghouse shortly after he graduated from Florida Southern College. He quickly learned the business and took on countless leadership positions within the Industry. In 1998, Governor Jeb Bush appointed him to the Florida Citrus Commission where he served as Chairman from 2000-2003. Dan was recently appointed by the Secretary of Agriculture and US Trade Representative to serve on the United States Agricultural Trade Advisory Committee (ATAC). Tom Mitchell is Vice President of Riverfront Packing Company and son-in-law of Dan Scott. 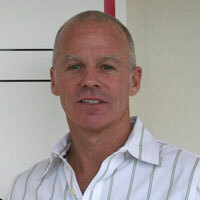 Tom moved to Florida after receiving his Bachelor’s degree from University of Richmond and his MBA from the University of Alabama. He began working for Riverfront in 2009 and has quickly learned the business, taking leadership positions in the industry including Florida Citrus Mutual, Indian River Citrus League, and Florida Citrus Packers. 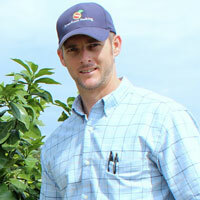 Tom also participated in the Florida Fruit and Vegetable Emerging Leadership program.